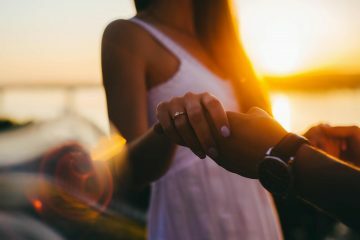 Ring Finger: Is It the Ring Hand or the Left Hand? Most people know that the engagement ring and wedding band goes on the fourth finger, which is also called the ring finger. But it starts to get confusing when we try to figure out which hand do they go on! We don’t really think about this question until the time when it is our turn to wear them. Recently, a friend of mine proposed to his girlfriend (now fiancé), and he always thought that the engagement ring is worn on the left hand. He was caught by surprise when his fiancé stretched out her right hand instead! And they are not alone. In a survey conducted by us recently on Facebook, Instagram, and face-to-face, 63% chose left hand while the remaining 37% chose right hand. In order to find the right answer, we take it upon ourselves to trace the history of the tradition. Here is everything you need to know about the ring finger and how to wear your engagement ring and wedding band. 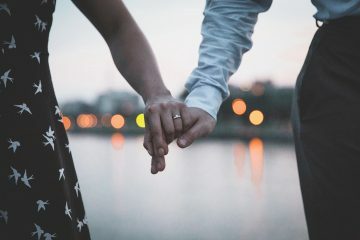 The tradition can be traced back to ancient Rome, where the Romans believed that the Vena Amoris is present in the fourth finger on the left hand. Translated into English, it means the vein of love, the vein that connects your heart to the fourth finger. 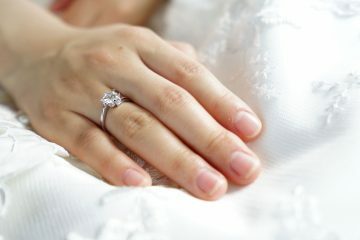 It is no wonder that it became the finger for the ring, which symbolizes the union and romance for each other. Fast forward to the modern world, we know that this is a myth. Any biology book will tell you that all fingers have veins connecting to our heart. But science apart, it is still a romantic story. So, now that we know the rings can be worn on either hand, the next question is which one comes first? Is it the engagement ring, or the wedding band? Again, there is no strict rule for it. Most couples prefer to wear the wedding band first, as it is closer to the heart, followed by the engagement ring. Also, we noticed another rising trend. Just like how we pair wine with food, many couples who customize their engagement ring also pair the design with the wedding band. To sum it all up, there are no actual rules on which hand does the engagement ring and wedding band go on. Some wear both rings on the left hand. Others wear one on each hand. There are those who only wear the wedding band, or even not wearing any at all. Be bold, be yourself! Oh, and for those who are curious to find out how my friend ended up, he went with the flow and put the engagement ring on her right hand! And the ring is still on her right hand the next time we met. Love what you have read? Follow us on Facebook and Instagram to get updates on Draco’s latest news and articles!